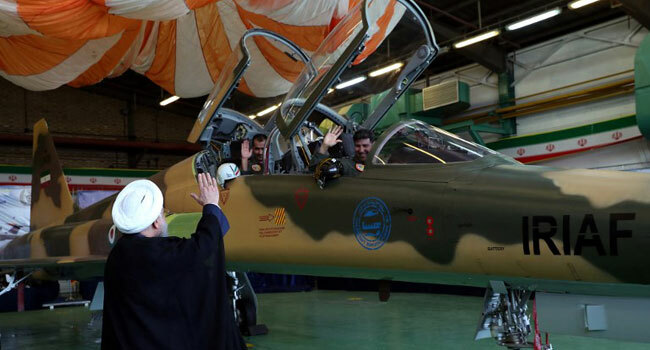 A handout picture released by Iran’s Defence Ministry on August 21, 2018, shows the “Kowsar” domestic fighter jet, a fourth-generation fighter, with “advanced avionics” and multi-purpose radar, which the local Tasnim news agency said was “100-percent indigenously made”. “With a couple of sentences, one can start a fight. 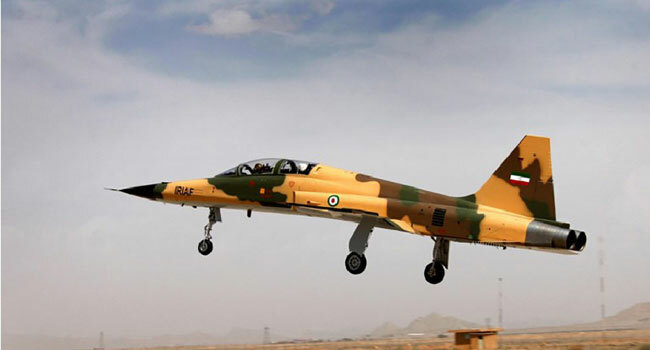 With a couple of military moves, one can enter confrontation. But then it will be costly,” he said. 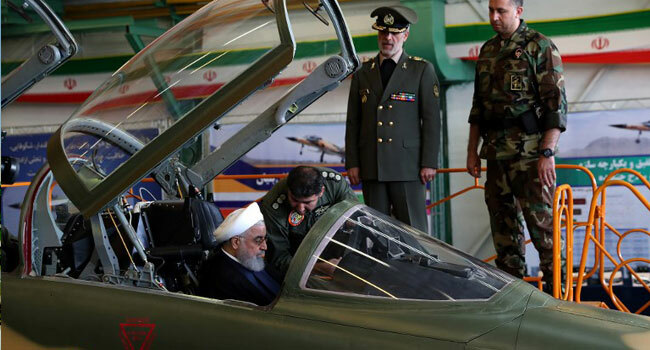 A handout picture released by the Iranian Presidency on August 21, 2018, shows President Hassan Rouhani (L) sitting in the cockpit of the “Kowsar” domestic fighter jet, at the National Defence Industry exhibition in the capital Tehran.